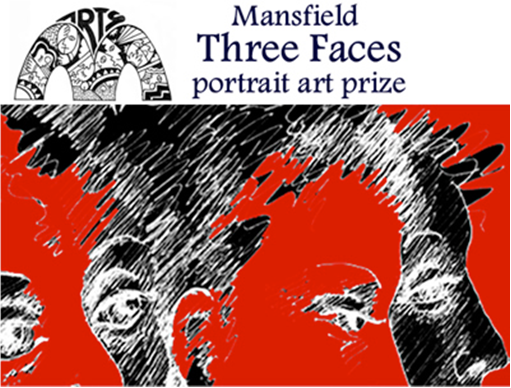 The Three Faces Portrait Art Prize is a visual art painting or drawing competition. Thursday 9th June 2016. Dinner event at The Delatite Hotel. Mansfield. The two runner up artists each receive $250. The two runner up artists each receive $100. Interested artists need to provide images of portraits or artworks they have previously produced. All artists need to be a resident of Mansfield or surrounds. The three participating artists are chosen by the Arts Council of Mansfield committee and the decision is final. Artists must attend both events. Each artist works in their own medium, supplies all their own materials and canvasses etc. The finished artwork must be ready to hang. The winning Portraits become acquisitions of the Mansfield Shire Council as part of a growing art collection. Post form and image/s of previous work by April 8, 2016 to ARTS COUNCIL OF MANSFIELD INC. PO BOX 34, MANSFIELD VIC 3724. Contact Liz Bannister 0427 030 510 for enquiries. Find entry forms and expression of interest on our forms page. ARTS COUNCIL OF MANSFIELD INC. PO BOX 34, MANSFIELD VIC 3724.
or Email: admin@artsmansfield.com for more information.